December 4, 2018 0 Com. Presented by Viejas Casino & Resort. 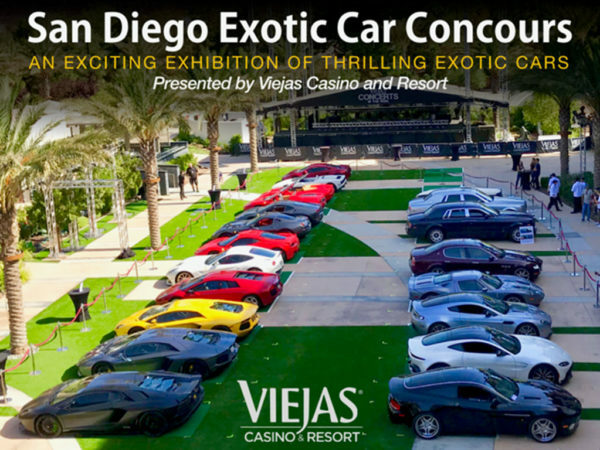 Saturday, November 3rd San Diego Ferrari Owners Club shared the spotlight at the new Willows Hotel & Spa located adjacent to Viejas Casino & Resort for a first time high end car show displayed on the grass of their outdoor Concert Venue. Ambassador of Car Aficionados and FOC Board Member, Maurice Rizzuto, pulled exotics from assorted car clubs in San Diego to create a sampling of cars to please every onlooker. There were only 26 spaces available; the display was exceptional.